Over this past summer, I had the privilege of working at LEAD. LEAD is a summer job open to teenagers and it provides them with leadership skills so that they can make a difference in their community (East Palo Alto). As many of us know, East Palo Alto is not the best neighborhood existent. East Palo Alto is a small community that lacks many key things; LEAD, however helped me and others fill in a very important gap in the lives of many children growing up in this neighborhood. As children grow up they need to feel loved, either by their parents or by someone whom they grow up with. A way to show a child that you love them is by giving them your attention, even if it’s for the shortest time. However, many parents work during the day so they need a place for their children to be and feel loved and they have that opportunity at RYAA. As LEAD took on a load of kids attending RYAA, I was shown that kids really do need attention and love from any person possible. Every day we would work with these kids, which gave us the opportunity to build a relationship with them personally. Some of the relationships we built developed over the course of one day or even just a second. What helped us build these relationships was making them feel important. A simple high-five made the day of any one of those kids. A smile from them completed our goal of making a change in the community. However, I must admit that it was hard keeping calm while working with so many active kids. Sometimes I felt like I couldn’t handle the kids, but I learned a trick to get the children to realize they needed to behave. I would focus on the ones behaving, and while my attention was still given equally would the children did not realize that. I thought that when it was all over I would never see the kids again, but I was wrong. I bump into the kids all the time and it’s awesome because they remember you so well and ask for the other LEADers. Overall I think it was a great experience and I can confidently say that the kids were touched by LEAD’s work because smiles and love, to a kid, is worth more than anything in the world. I’d also like to acknowledge Shannon’s work and everything he has done for East Palo Alto because if it weren’t for him the lives of these kids would be totally different. I want to thank him for allowing me to be part of LEAD and I’m sure the kids thank him as well for putting together such a great camp. What we believe and advocate here at RYAA is the transformational power of faith-based mentoring, leadership and development of character through positive opportunities—primarily through our sport programs. Stories of successful character development are incredibly encouraging because they testify not to our own efforts but to God’s power and goodness. One of the most crucial elements to the realization of this success however, is the willingness of individuals to take responsibility for their lives and to be open to change. 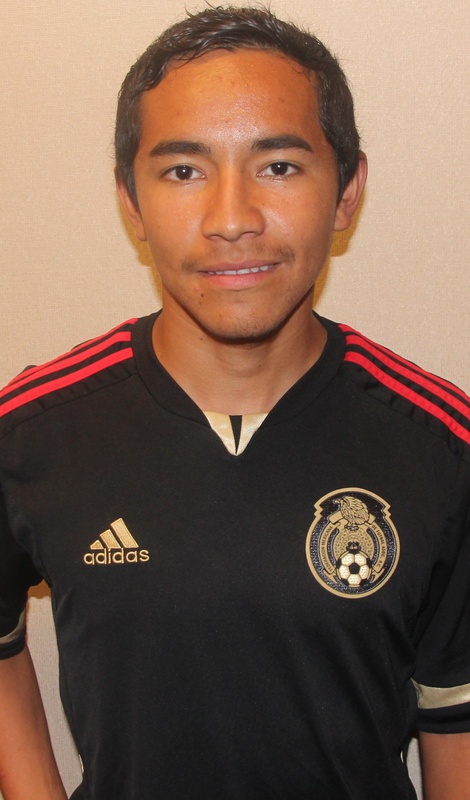 Fredy Torres is one young man who not only went through RYAA’s soccer program but has also put much time, energy and hard work into making constructive and affirmative life choices. Fredy shared his story with us, and he has agreed to let us share it with you. In 8th grade Fredy was not on a good path. There was one friend that was a negative influence and Fredy recalls he was making some poor decisions, “I was starting to get into some bad habits.” A moment of change came when a different friend, Adrian began to persistently invite him to play soccer with RYAA. Fredy wasn’t interested, partly because he didn’t play soccer and partly because he couldn’t afford it. His friend was very persistent though and when Shannon offered him to work off the application fee, Fredy decided that he would join. “At first I was like, ‘Ahh work!’—I didn’t like it.” Fredy comments on the arrangement, but he quickly added that he noticed Shannon made him do things that weren’t too hard— gardening, picking up trash etc.—and Fredy appreciated the chance Shannon was giving him. Eventually spending so much time with RYAA meant that he didn’t have time to hang out with the friend who was negatively influencing him. Fredy credits RYAA with getting him off the streets and changing his life forever. Fredy’s experience with RYAA’s soccer program and the positive impact it was having on his life opened him up to new things. Through a class at Carlmont High School he was able to talk to venture capitalist and learn entrepreneurial skills and business which all contributing him to winning money in youth business programs. Having to do things like give a presentation at the Stanford Stadium before a full audience and five judges from places like Google and Yahoo taught him a lot about himself and about entrepreneurial skills and business. 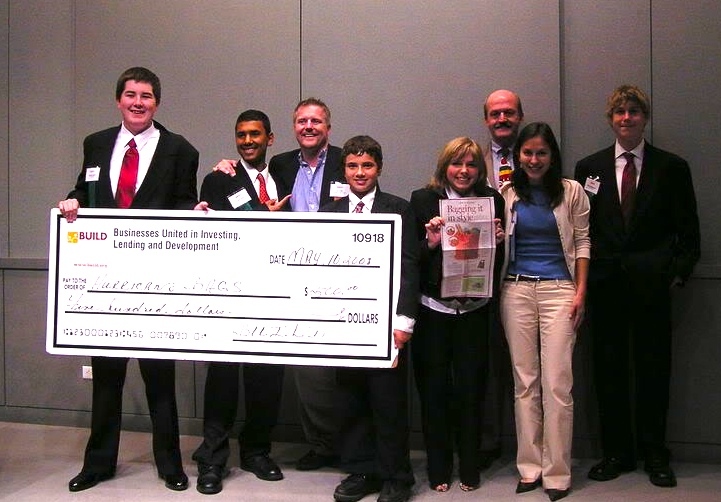 He and a team of other students won first place in a Business Plan competition through BUILD (www.build.org). A mentor provided through BUILD has stuck by him up until where he is now, acting as a fatherly figure and assisting with school. All of this hard work has culminated with him having a deep appreciation and passion for business that has landed him at Notre Dame de Namur University studying for his degree in business administration. Fredy is now a leader in his family, being the first one to go to university. Much of this might not have been happened if RYAA or Shannon hadn’t been there to give Fredy the chance he needed to develop his life. Fredy described how Shannon was “always there for him and always had time him.” This had an enormously constructive impacted Fredy’s life and he also described how Shannon’s belief in God influenced not just him but every person Shannon came into contact with. Even now, Fredy will attend bible studies with Shannon on Saturdays and this has been a source of hope and positive force for him. Fredy’s past and present experience with RYAA has showed him—as he says in his own words—“What separates the boys from the men.” It is exactly this type of development of character that heartens RYAA and helps to push it forward. We praise God for Fredy and thank Him for the work that has taken place in Fredy’s life. As Jesus left the world, He left us with a commandment to take the gospel to all the nations and teach them to follow all that He commanded. Many have understood this as a call to go to foreign countries for short or long term missions trips to preach the gospel. But we have many needy people right here in our own home nation too! Some need material needs, but everybody needs love. We encourage people to see coaching as an opportunity to spread the gospel through planting the seeds of Christ’s love and hopefully the end result is that both yourself and the youth will become (in terms of character and love) more like the savior Jesus Christ! Well,this season was filled with mixed feelings for me. That is not to say that the things that were tough were bad. Rather, they were opportunities to get better. The tough times were always accompanied with sweet individual moments with the kids. I found it very difficult to communicate the importance of of certain things like team work, Christ-like attitudes, and soccer skills when the kids were in a large group. However, when I would be walking to the field – say during a water break – I was usually approached by a kid on my team who would alway be excited to share with me a piece of their day or some other nugget of personal information about there lives. The cool thing was that it wasn’t the same kid every time! As I think back on the season, I believe I actually spent one-on-one time with every kid on my team. And the cool thing is that they all seemed delighted to talk with me. Of course, there were some kids I got to know better than others. And through the season these were the glimmers of light that really kept me motivated. The other thing that helped to keep me motivated was that I felt, on a number of occasions, the Lord reminding me that I have no idea how my interactions with the kids was affecting them. Therefore, He reminded me to keep a good attitude and stay aligned with Christ. That final line says it all. 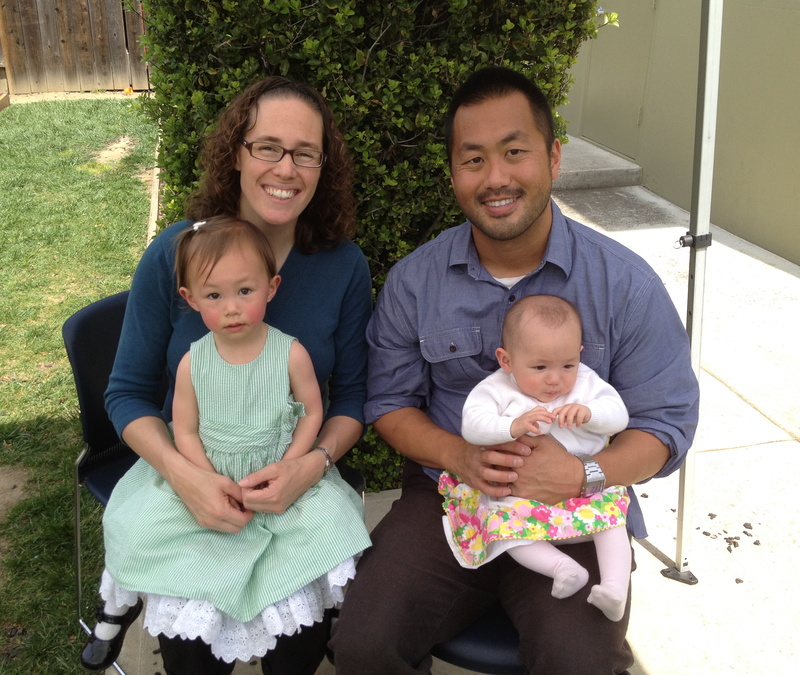 For Coach Greg, the result was he had a motivating force for staying aligned with Christ. Also in his personal relationships with the youth, he helped keep them aligned with Christ as well! We are all unique members with varying gifts of the same body. How does God want to use you and your gifts for His glory? Won’t you prayerfully consider if God is calling for your gifts to serve with the RYAA community? If so, please contact us and we will help you answer that call.